* Chrome Finish Complete Bolt On Performance. 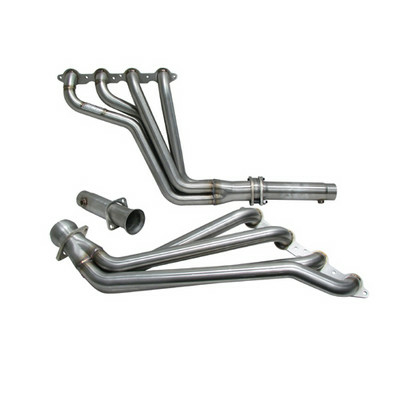 NEW BBK Exhaust Header Systems include Full length Headers in your choice of finish - either Chrome - Silver Ceramic or 304 Stainless and either Off Road or with converters. They offer a new standard in performance and value along with ALL the great features you would expect from BBK. No one else can Stack up to the bold clean styling of our aftermarket Billet / Stainless Steel Dress Ups, Street / Strip / Racing Suspension and Performance Parts for your American Muscle Car! Fits these Vehicles: 2010 2011 Chevrolet Camaro RS/SS SS LS3.